On Friday the 15th we had the please of having Lancashire and Cumbria air cadets with us, and what a pleasure it was. The children (all 45 of them) were excellently behaved and dived right into the puzzles before even starting the games. 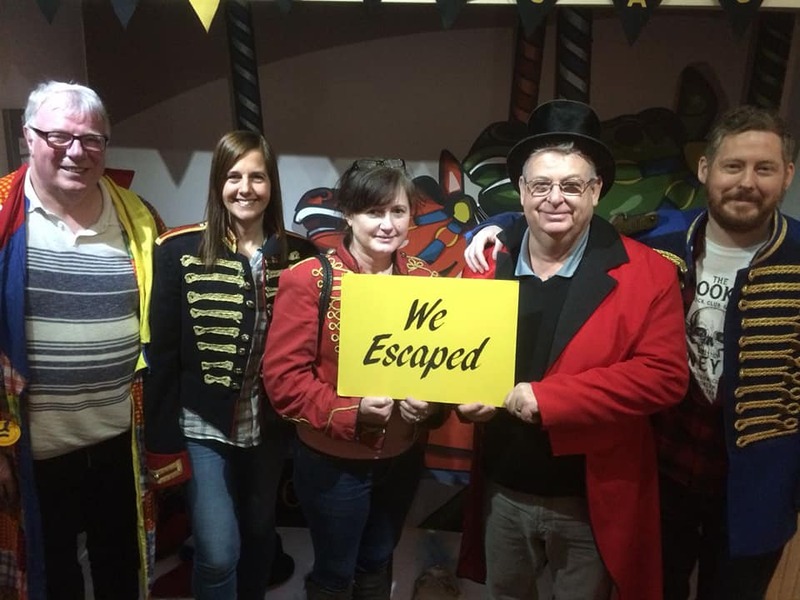 There were some fantastic problem solving and clinical reasoning skills demonstrated and all of the groups performed excellently....particularly as most of the group hadn't experienced an escape room before. There was also an excellent display of dancing from the team leaders (in costumes may I add) and a very enjoyable time was had by all. We wish them all the luck and many thanks for sharing your team building experiences with us. 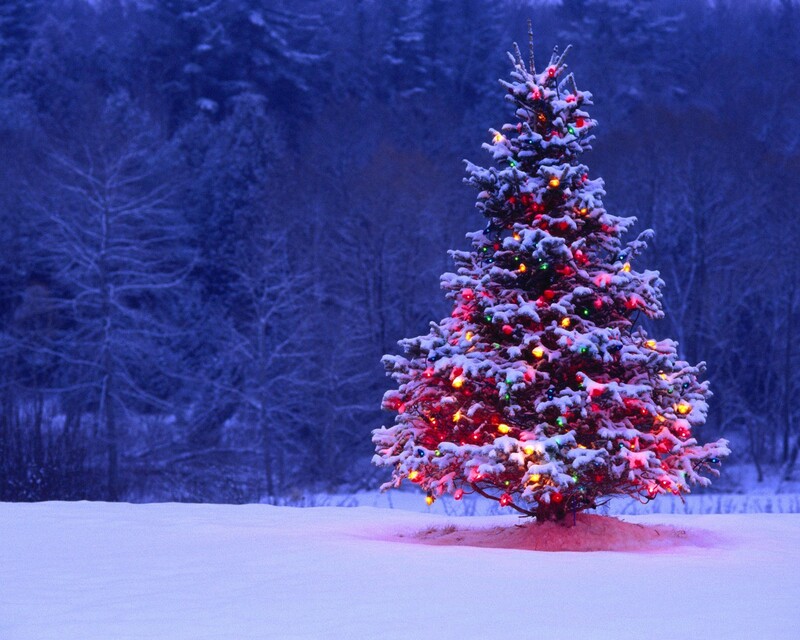 We would like to take this opportunity to wish you all a very Merry Christmas and a Happy New Year. It was a pleasure to welcome the folks from Hest Bank Dental Practise into our doors on Friday 19th January. They're enthusiasm was excellent and four teams raced out over 3 hours of entertainment. 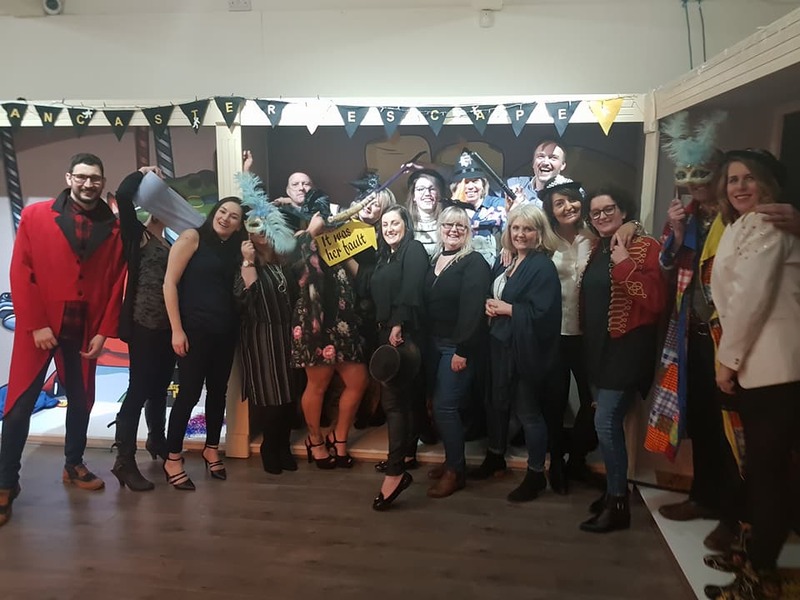 All teams were very very close and at the halfway mark in each race it was neck and neck...however the first Pendle witch team narrowly won the competition (pictured) with a fantastic performance. Well done to all that came and hope the heads aren't too sore this morning. Thanks guys!!! How would you like to win £1000? 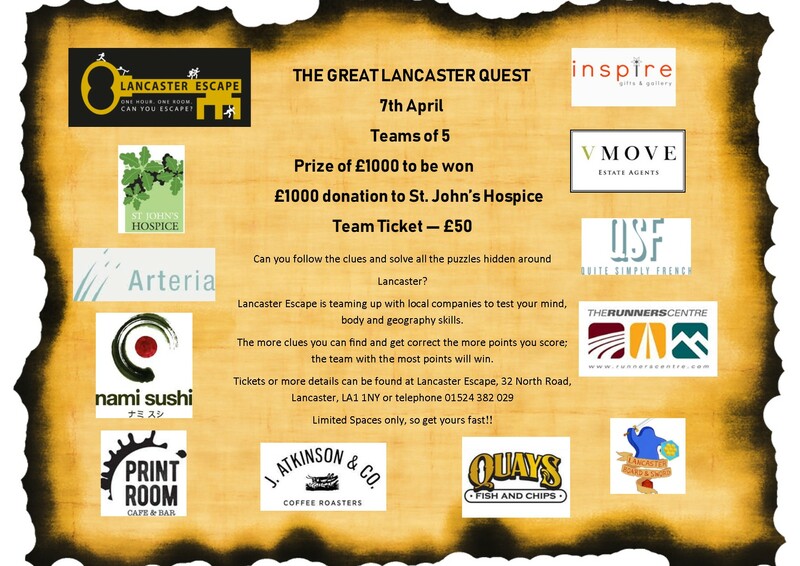 Lancaster Escape is teaming up with ten local business and running a clue based quest around Lancaster.....think escape room, but on a larger scale. This ticketed event will run on the 7th April for teams of 2-5. 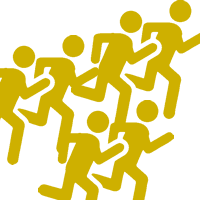 Tickets cost just £50 per team and the winning prize is £1000. There will also be a £1000 donation to St John's Hospice Lancaster. As stated there are limited tickets for this event so get yours fast before they run out!!! Tickets can be bought in store at Lancaster escape or by phone ringing 01524 382 029. For more details contact Lancaster Escape. What is better than an escape room? 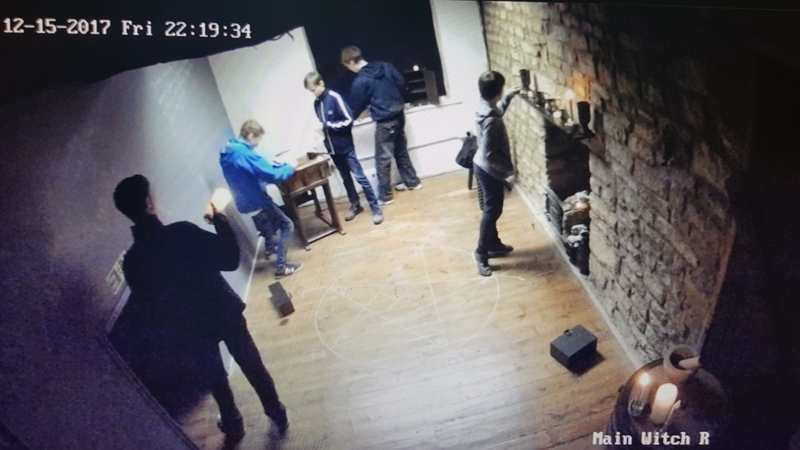 An escape room with a bar!! We have now been kindly provided with a premises license and are able to supply toy with all your alcohol needs. 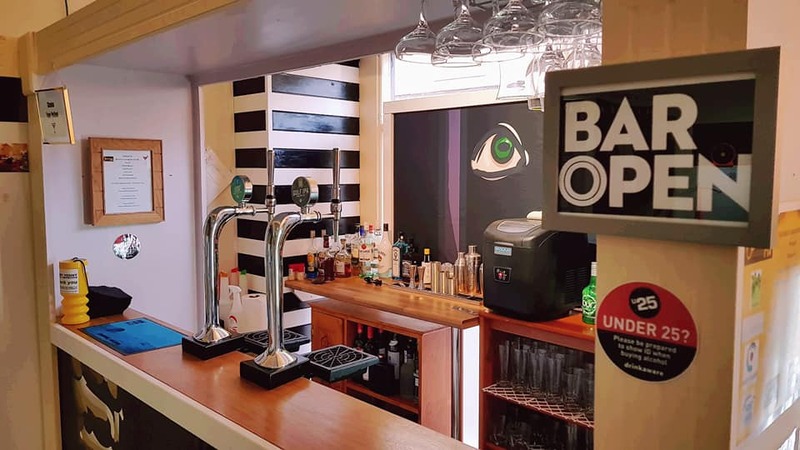 Whether it is a pint of pilsner or a couple of cocktails we can make sure your night is well satisfied on the drinks front!! Come in, say hello, and have a drink with us! A safe bet on this Insurance Team! A fantastic display of escaping by the guys at 'The Insurance Centre'. Some great team work skills shown and enthusiasm was demonstrated in abundance. They also enjoyed one of our delicious food packages and enjoyed a lovely couple of drinks from the bar; was great to have you guys here! Enter the code LETMEOUT at checkout - proof of identity will be required on arrival and we do operate an honesty policy.